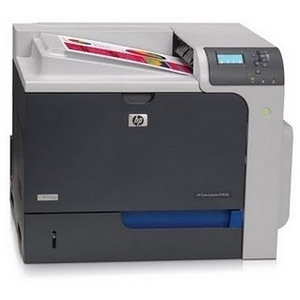 Does your office need HP Color LaserJet CP4025dn toner? Are you struggling to find an affordable price? Then 1ink.com is here to help. We offer remanufactured toner in every color you need: black, yellow, cyan, and magenta. Our black remanufactured HP 647A toner cartridge delivers an 8,500 page print yield and each color remanufactured HP 648A toner cartridge prints up to 11,000 pages, matching the page yield of an OEM toner set for a fraction of the price. We even have a cost-effective four-pack to help you save even more! You’ll get savings of over 65% off the OEM retail price with this multipack, all while getting the superb print quality and consistent print specs you need. Paying OEM prices will put a strain on your budget, but 1ink.com’s remanufactured toner for your HP Color LaserJet CP4025dn printer is guaranteed to produce the results you need or your money back. Our cartridges install easily and they won’t let you down. For the best toner quality at the lowest prices, choose 1ink.com for all your print supply needs.